Product prices and availability are accurate as of 2019-04-21 09:16:56 UTC and are subject to change. Any price and availability information displayed on http://www.amazon.co.uk/ at the time of purchase will apply to the purchase of this product. 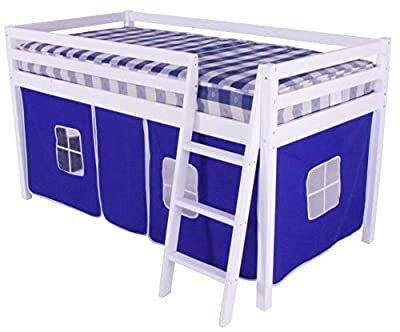 Transform their mid-sleeper bed with this fantastic Mid Sleeper Bed Tent Pack Invite their friends around for tea and then roll up the door for a special place where little boys can have fun. Or set their imagination free as they play in the peace and quiet of their very own den. What more could a parent want than to let their kids dream.